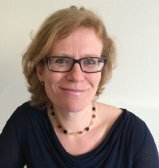 Frances is a consultant clinical psychologist who has worked in many settings across the NHS for over twenty-five years. She has provided psychological therapy and support to adults, children, families, couples, groups and health care professionals. She has developed a particular specialism in the field of clinical health psychology. She has worked in the NHS as a Macmillan consultant clinical psychologist in cancer and palliative care, and currently works in the West London Maggie’s Cancer Support Centre. Other services that she has worked in include cystic fibrosis, respiratory and cardiology services, chronic pain management, chronic fatigue and paediatric intensive care. Frances uses a wide range of practical, constructive, evidence based therapeutic skills. She draws upon the cognitive-behaviour therapy model (CBT) as her main therapeutic framework. DClinPsych, Clinical Psychology, 2003, City University. MSc, Clinical Psychology, 1991, The Institute of Psychiatry, London University. BA(Hons), 1989, Experimental Psychology, Oxford University. Associate Fellow of the British Psychological Society (AFBPsS) and chartered psychologist. Practitioner Psychologist registered with the Health and Care Professions Council (HCPC). Registered by the British Psychological Society as an Applied Psychology Practice Supervisor (RAPPS).